The best known new churchwarden in the country is in at the deep-end, raising money for the church roof. Dot Branning, newly appointed churchwarden of the church on Eastenders, has a lot in common with her real-life counterparts in feeling a small amount of panic in facing this daunting task. 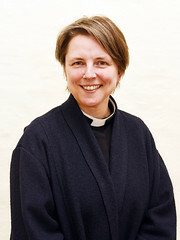 Within the Anglican church, of which Dot is part, churchwardens are often legally responsible for all the property and movable goods belonging to a parish church. The realisation that they are responsible for a the daily upkeep of a major community space, together with the possibility of having to do major work to a building of significant heritage value can make the job seem very daunting. 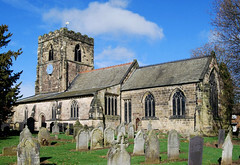 In an email to Dot last week, I detailed the support and advice we can give to churchwardens (and of course their counterparts within other denominations, and indeed anyone involved in caring for a place of worship). It might be that Dot needs help with finding funding for the roof, or project managing the work to be done. She might want to set up a Friends Group or (somewhat ironically) encourage TV&film use of her church. Or she might need technical advice on caring for and maintaining an old building, or adapting it for community use. Over the years the Eastenders crew have filmed at a number of churches in and around London (mostly around Watford). 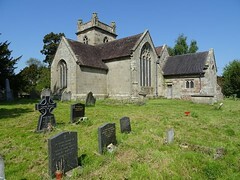 Most recent, was a church in Hertfordshire, where the funeral of Derek Branning was filmed. You can see pictures from the filming here. You can watch the episode where Dot becomes churchwarden here.